Taigh Aliean Hotel is the perfect hidden getaway located at the end of the Minginish Peninsular with stunning views of Loch Harport, Macleod’s Tables and the Cuillin mountain range in the west of Skye. 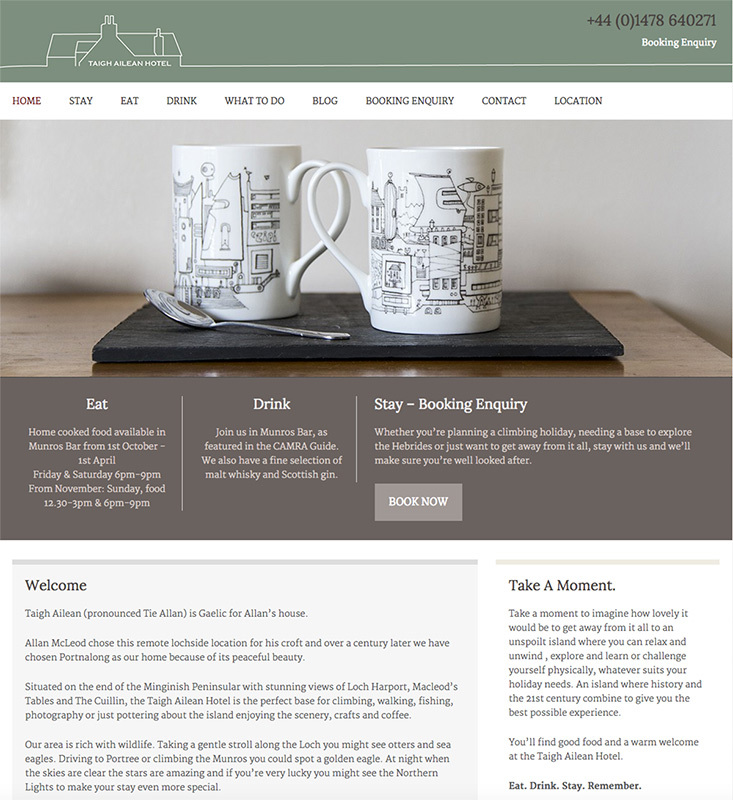 In late September 2014, owners Johnny and Katie Heron approached Skye Websites to design a unique logo and informative website in order to promote the hotel and increase business. The location is an ideal base for climbing, walking, fishing, photography or just pottering about the island enjoying the scenery, crafts and coffee. We designed a simplified logo of the hotel using clean, straight lines and a muted green and grey colour scheme highlighting the peaceful beauty of the hotel’s remote location. 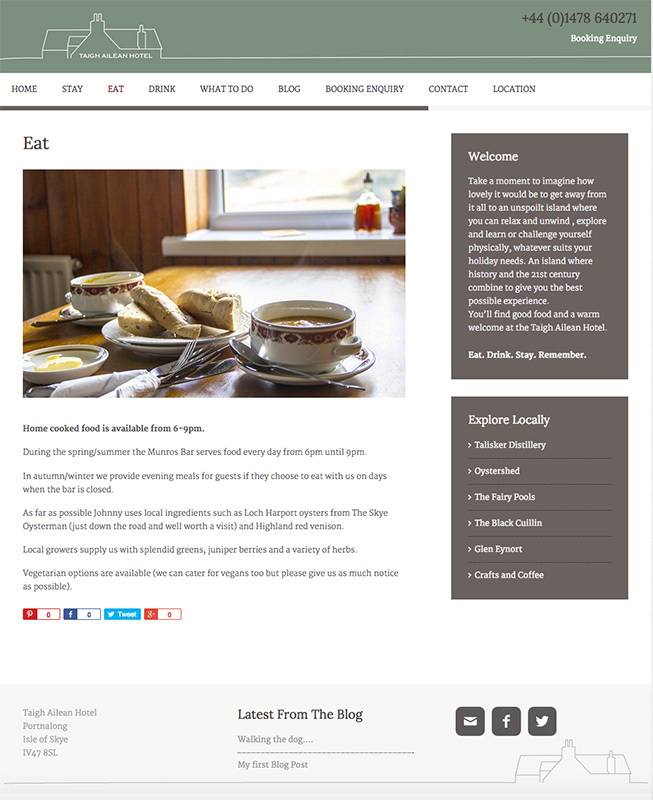 Using the WordPress content management system, we designed and developed an easy to use, mobile responsive website, featuring the quiet charm of the location and delicious home cooked meals served in Munro’s Bar. We have also included a blog section that is easily updated by Johnny and Kate. Thinking about creating a mobile-friendly website for your business or a logo promoting your brand? Contact us here for a free consultation.